ALBANY, New York, February 16, 2011 (ENS) – Three states are suing the federal Nuclear Regulatory Commission for approving a regulation that would allow the use of nuclear power facilities as storage sites for highly radioactive spent nuclear fuel for at least 60 years after their closure. Prior to the change, spent fuel could be stored on site for up to 30 years after a reactor closed. Brought by New York, Connecticut and Vermont, the petition was filed Tuesday in the U.S. Court of Appeals for the District of Columbia Circuit. It asks the Court to invalidate the rule and remand it back to NRC with a directive that the Commission fully comply with federal law. The petition claims that the NRC violated two federal laws when it found in December, without conducting the legally required environmental impact studies, that no significant public health, safety or environmental impacts will result from storing highly radioactive nuclear wastes onsite at the more than 100 operating reactors around the country. The Obama administration has withdrawn its support for the only permanent nuclear waste storage facility in the United States, the Yucca Mountain nuclear repository in Nevada, endorsed by Congress and President George W. Bush in 2002, but opposed by environmentalists and Nevada elected officials at all levels of government. No replacement facility has yet been identified, leaving the United States without a long-term repository for high-level nuclear waste, which is currently stored at the sites where it was produced. The lawsuit filed by the state attorneys general, led by New York Attorney General Schneiderman, calls on the federal government to conduct necessary environmental impact studies before deciding that nuclear waste should be stored onsite, including from the three Indian Point reactors in Westchester County, New York. “Whether you’re for or against re-licensing Indian Point, we can all agree on one thing – before dumping radioactive waste at the site for at least 60 years after it’s closed, our communities deserve a thorough review of the environmental, public health, and safety risks such a move would present,” said Schneiderman. 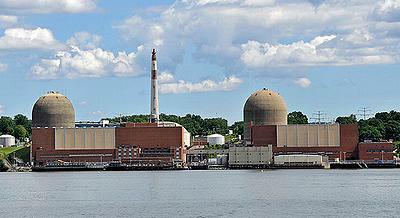 The Indian Point nuclear power plant on the Hudson River in Buchanan, New York is located in Westchester County, a high-income suburban county where property taxes are among the highest in the nation. “This is not just a safety and environmental issue, but also one that could affect property values in Westchester, and I am committed to forcing the feds to take the hardest look possible at the risks of long-term, onsite storage, before they allow our communities to become blighted and our families, properties, and businesses threatened by radioactive waste dumps for generations to come,” Schneiderman said. The states argue that any leaks from spent fuel storage pools or dry storage facilities at nuclear power plants could have significant impacts on groundwater and land use. 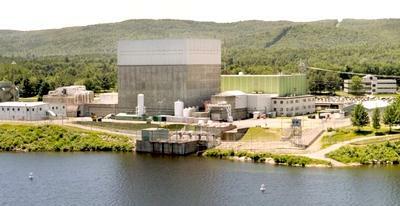 Both the Indian Point reactor and the Vermont Yankee reactor at Vernon, Vermont have had leaks of radioactive material into the groundwater. 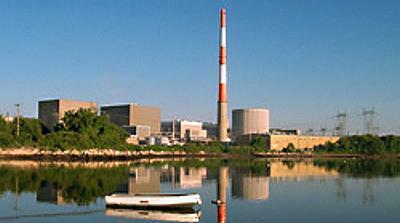 Connecticut has two operating nuclear plants, Millstone 2 and Millstone 3 in Waterford and two decommissioned nuclear plants, Millstone 1 in Waterford and Connecticut Yankee in Haddam. The spent fuel from those plants remains on site awaiting a permanent storage facility. In the lawsuit, the attorneys general challenge both a NRC rule amending federal regulations and its “Waste Confidence Decision Update,” both issued on December 23, 2010, as violating two federal laws, the Administrative Procedure Act and the National Environmental Policy Act. The APA is a federal law that governs the way in which federal administrative agencies may propose and establish regulations, while the NEPA is a federal law requiring federal government agencies to study the environmental impacts of proposed federal agency actions. “The public has a right to know how long-term storage of spent nuclear fuel will affect the environment, particularly when it is occurring at nuclear power plants that were never designed to be long-term storage facilities of spent nuclear fuel,” said Vermont Attorney General Sorrell. “Calling this a ‘temporary’ storage rule does not reflect reality when the rule allows spent nuclear fuel to be stored within Vermont’s borders for several generations to come,” Sorrell said. The attorneys general argue in the lawsuit that full compliance with federal law requires the NRC to conduct a site-by-site analysis of the potential for environmental, health and safety impacts. 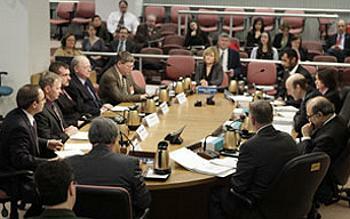 An analysis of this type, if conducted thoroughly and objectively, would identify any environmental, health and safety risks related to long-term, onsite storage of radioactive waste at each site, as well as those mitigation measures, such as increased groundwater monitoring, reinforced containment structures, or repair of leaking spent fuel pools, needed to fully address them.